Yeah for NLArts Summer Camp Fun! NLArts strives to teach the whole child various art forms as well as creative expression through a variety of formats during each week of camp. We promote a healthy balance of outdoor play, art making, instruction, and cooperative learning. Through our vast community partnerships we are able to expose your children to local art installations and resources and incorporate field trips every week! NLArts Summer Camp is open to all children ages 4-14. Our Middle School Program is a unique place for older children to execute larger and more complicated art projects! 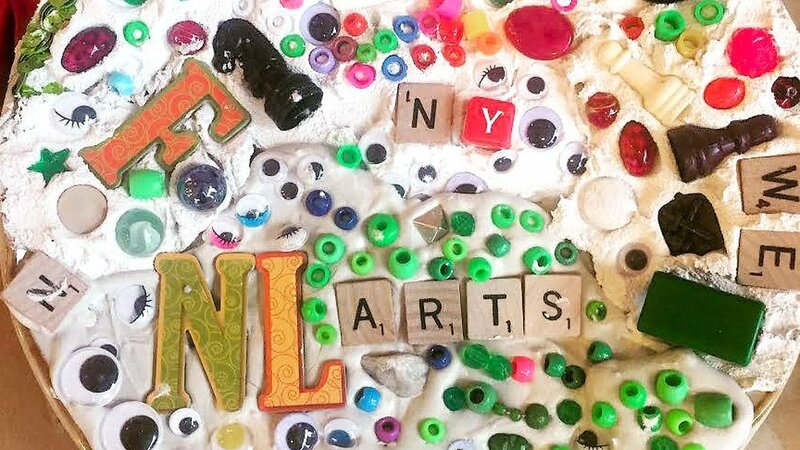 We offer 5 separate weeks of summer camp with each week offering a unique program filled with hands on art instruction, guided learning, project creation, local field trips and an abundant amount of creativity and art projects galore to take home! Weeks 1 is full for ages 6&7 year olds. Sorry we can not accept any registrations for that age during those weeks. Weeks 3, 4 & 5 are FULL! Sorry we can not accept any registrations for these weeks. Enjoy the same great all day NLArts programming but at the Northern Liberties Rec Center next door! To reserve a space for your children select their age below and continue to checkout via PayPal. You can sign up for all four weeks, or a few specific weeks only. We look forward to seeing you this summer! **NLArts is proud to offer scholarships to families in need through the generous donations of Art Star. Please fill out this form if you would like to request a scholarship for NLArts Summer Camp. All requests must be received by March 15th, and decisions will be made by April 1st. Camp fees include all field trips as well as a daily afternoon snack. Campers should bring a peanut-free lunch and water bottle each day. Middle Schoolers fees include a morning meeting at Higher Grounds each day complete with a muffin and beverage! Secure your spot in any of the 4 weeks of camp with just a deposit due now. The remainder amount will be due before 5/15/19 to avoid the additional fee. Please enter the number of weeks your camper is attending in the Quantity field (1-5 weeks). Quantity should correspond with number of weeks checked on the camper form (next step after clicking Add to Cart). Please add to cart separately for each new camper in order to fill in a separate form. Please enter the number of weeks (1-5) your camper is attending in the Quantity field. Quantity should correspond with number of weeks entered on camper form (next step after clicking Add to Cart). Please enter the number of weeks (1-5) your camper is attending in the Quantity field. Quantity should correspond with number of weeks checked on the camper form (next step after clicking Add to Cart). Reminder this is just a deposit. Remaining fees will be due by May 15th to avoid late fees.